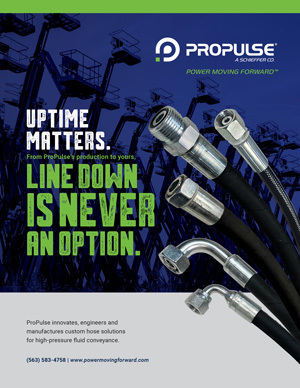 High-Pressure Hydraulic Hose Assemblies | ProPulse—a Schieffer Co.
From ProPulse's production to yours, line down is never an option. Whether it’s rubber or thermoplastic hose, ProPulse has the hydraulic hose solution you’re looking for. ProPulse’s nimble manufacturing capabilities give you options to ensure you get the best hose for your OEM hydraulic equipment. Additionally, they have in-house testing capabilities for every dynamic test within SAE and EN norms. ProPulse’s evaluations focus on simulating environmental concerns to see how hose assemblies will perform under different types of stress. They have invested heavily in the infrastructure and capital equipment needed to help OEM hydraulic equipment manufacturers reduce downtime, increase safety, and avoid costly damages from failures. Consistent testing and retesting, in conjunction with audits and ISO 9001:2015 certification, ensures the quality of their operation and all high-pressure hose products. Unlike other hydraulic hose suppliers, ProPulse engineers, manufactures and assembles thermoplastic hydraulic hose in the USA. Compared to rubber hose assemblies, thermoplastic hydraulic hose offers numerous advantages in both performance and cost. In addition to OEM custom hose, ProPulse can deliver standard SAE hydraulic hose including: SAE 100R7, SAE 100R8, SAE 100R16, SAE 100R17 and more. ProPulse serves companies in a variety of industries, all related to high-pressure fluid conveyance. As the “hose pros,” ProPulse partners with OEM hydraulic equipment manufacturers and many other customers to learn their industry inside and out. 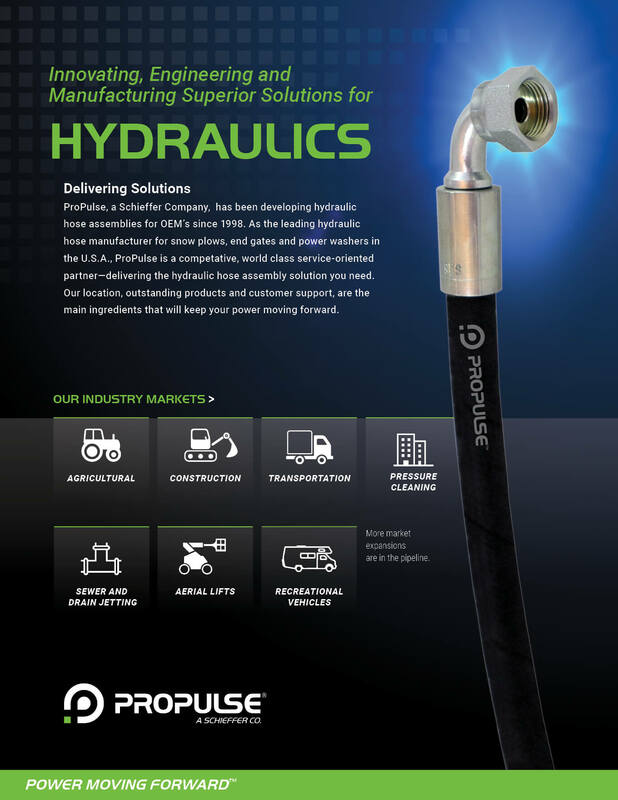 As they better understand the market and the individual circumstances and needs, ProPulse creates custom hydraulic hose solutions in their USA-based hydraulic hose manufacturing plant. They have vast product knowledge and over 20 years of experience, domestic and international, in producing results. Therefore, they can take some of the high-pressure off you. OEM hydraulic equipment manufacturers don’t need to make all the correct product and application decisions on their own. 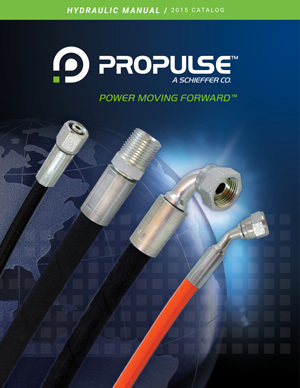 ProPulse is here to help you get the best hose for your hydraulic equipment. Testimonials are more valuable than any information ProPulse could provide to you. Hear for yourself what their customers have to say. On time shipment is extremely critical to my R&D department. 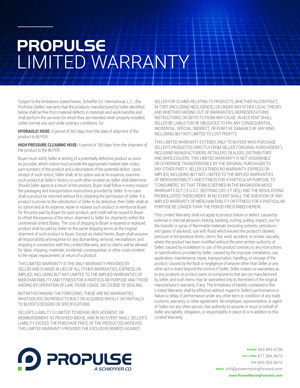 ProPulse delivers. 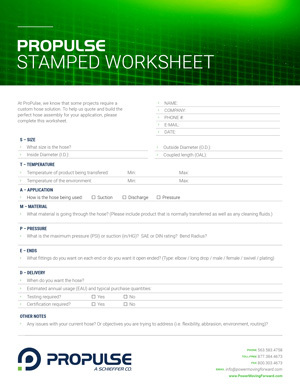 ProPulse understands our needs and works with us to help reduce costs while maintaining product quality. We've had zero non-conformances this year! There are several factors that play a role in selecting the correct hose for your application. Hydraulic hose selection should not be taken lightly. There are several different safety factors that are applied to different industries. An SAE designated hydraulic hose has a 4-1 safety factor, where other industries may have other allowable safety factors that are less than 4 such as in some high-pressure cleaning applications (3-1), as well as in the sewer jetting industry (2.5-1). 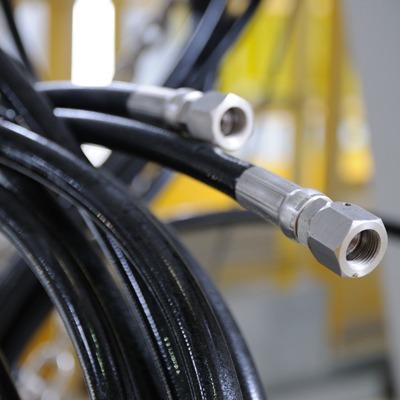 When it comes to hydraulic hose specifications for high-pressure rubber or thermoplastic hose assemblies, close isn’t good enough. 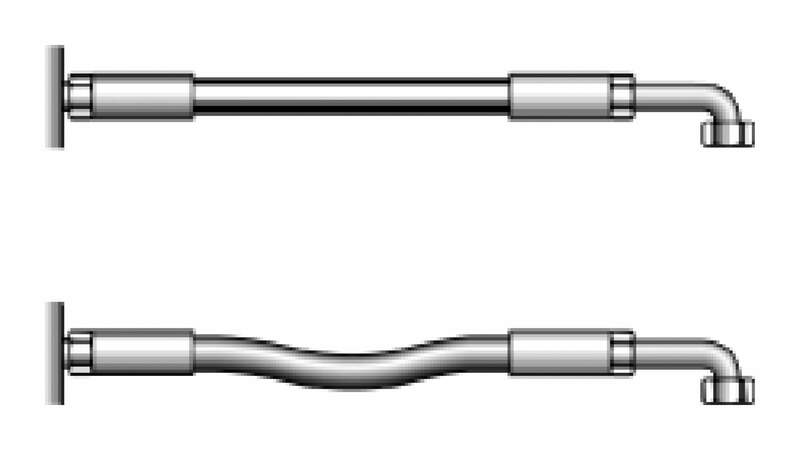 Other factors will also play a role in the life of hydraulic hose assemblies. These include, but are not limited to, various application factors such as hose routing and differing environments. ProPulse understands the importance of safety and durability and will custom-make OEM hydraulic hose that is ideal for your specific equipment and environment. Potential hydraulic hose solutions include ozone and UV resistant thermoplastic hydraulic hose, Arm-A-Flex™ extreme abrasion-resistant cover, or even a hose wrap or nylon covering to help withstand the rigors of usage. In addition, the ProPulse team can help with routing solutions and advice on the proper use of adapters and clamps to keep your hoses “happy” for years of trouble-free service. 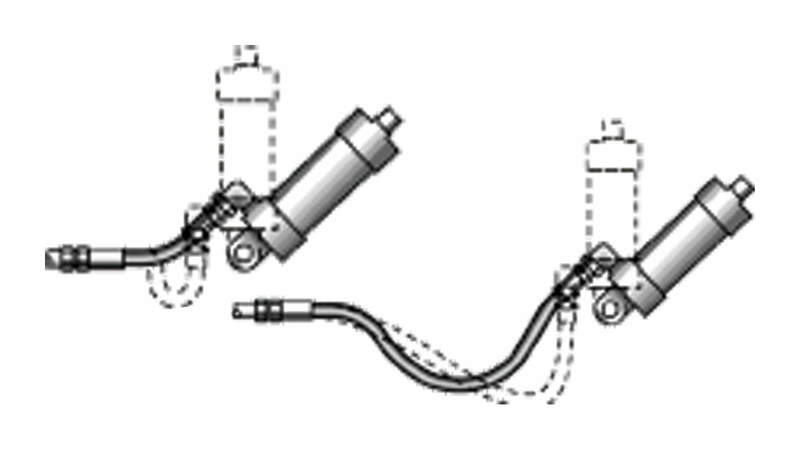 Following is a list of basic drawings that help with everyday hydraulic hose routing issues our customers face. This guide can help aid in the proper routing and installation of hydraulic hose assemblies in various applications. 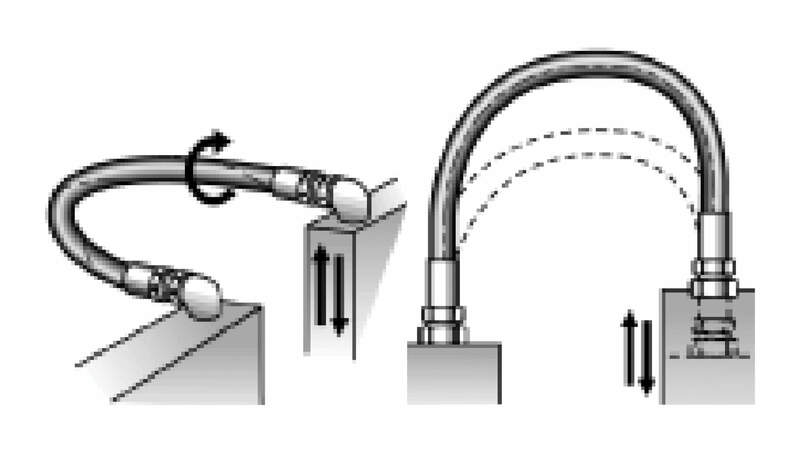 In the right picture of figure 1, the hose is too short not allowing for the hose to have the proper bend radius. This causes strain on the crimp joint. 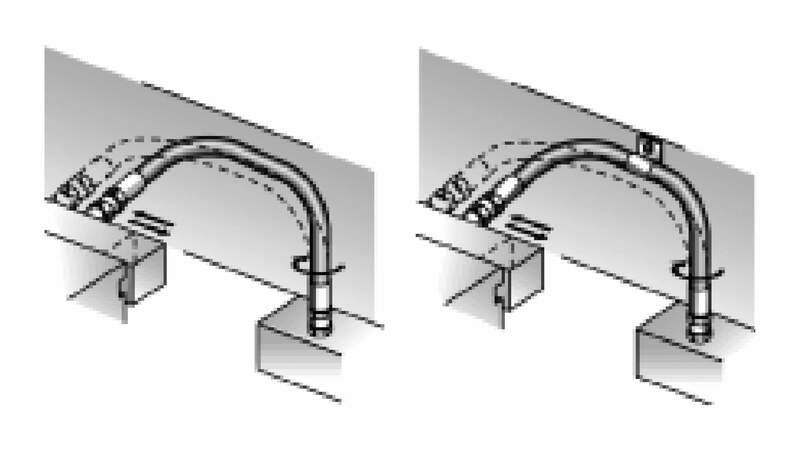 The left picture shows the correct hose length providing correct bend radius. 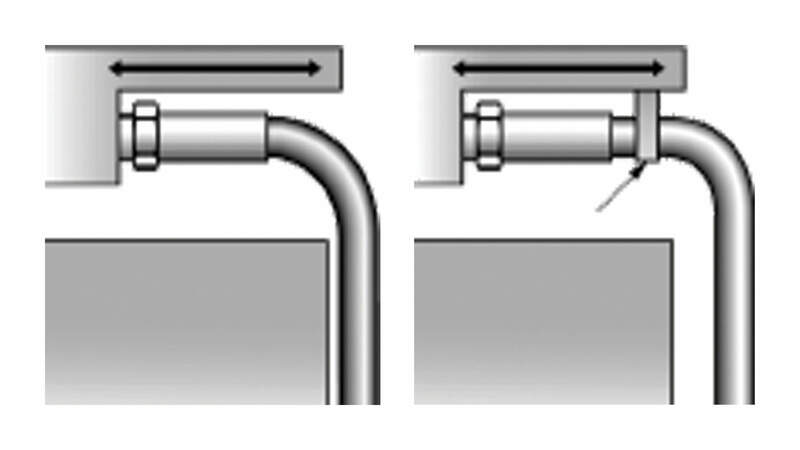 The left picture shows a cluttered hose routing that could induce unnecessary hose wear and hose life. The right picture displays a better choice of endings and use of adapters helps clean up the routing facilitating longer hose life and is easier to maintain. Hose length should be looked at closely to provide for the flexing of hose when there is contraction and expansion during use. 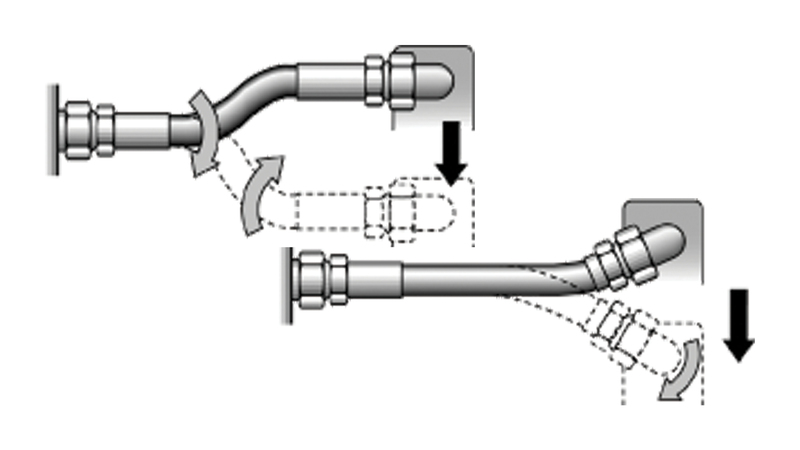 Be aware of hose routings that have torsion and twisting involved. Hoses should be routed to limit this torsion as it can have a negative effect on the crimp integrity and can reduce hose length. A good tip to help identify this issue is to look at the hose layline if there is torsion in the hose (even when installing the hose layline will appear twisted along the length of the hose). This condition will indicate torsion with the hose and could shorten the life. The proper use of clamps can help relax when there is movement in more than one plane. Caution must be taken that the correct clamp is used as to not damage the cover of the hose and to provide enough length of hose on either side of the clamp to provide enough room for movement. Support clamps are also a good tool to use when trying to limit hose wear due to abrasion. Clamps can be used to isolate hose and hold them away from abrasive surfaces or environments. When routing hose, care must be given to note all areas that have movement and how the hose will move in the system. 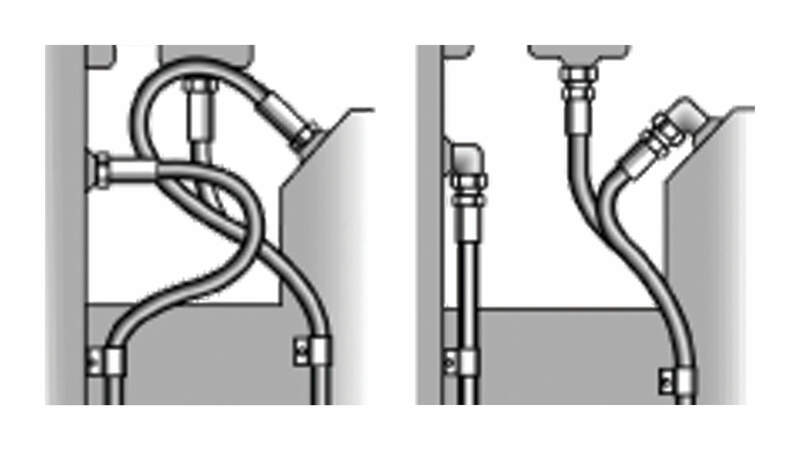 No part of the system movement should cause the hose bend radius to be exceeded or cause undue stress at the crimp joint. Choosing the correct ttings on the hose can also improve hose life. 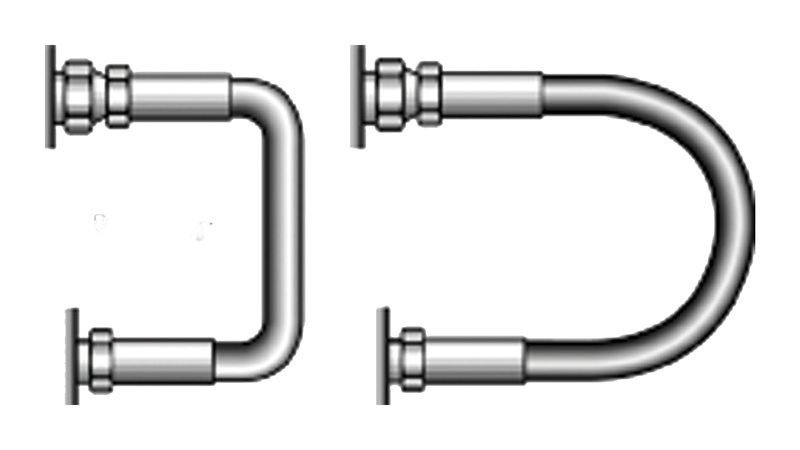 In this case swivel ends are used to limit torsion in the hose. Swivel ends can also aid in maintenance and replacement. CLAAS employees install ProPulse hydraulic hose assemblies on their equipment during production. Your team has done a nice job of reaching out to us when there is a problem and we tend to remember that more than the issue.